Thank you for another great semester of Photo Club. We’ve done so much and gone so far, from Sequoia National Park and San Diego to Chinatown, Murphy’s Ranch, and the Arts District. Every time I go out to an event, I look forward to meeting someone new, especially if it’s their first time with the club. I tell this story every time I reminisce about the club, so you’ll have to allow me to tell it again. My freshman year (yes, a while ago, I know) I attended my first General Meeting. It was held on the grassy little quad outside of Old Annenberg. Lit only by the lamps around us, there were maybe 20 or 30 people there. I distinctly remember going up to our former president, Zach Dembner, and showing him a couple of my photos. The general enthusiasm amongst these few, but dedicated, people had a true impact on me. A month later, I was on the board. Over the next year, we turned up the dial on everything. 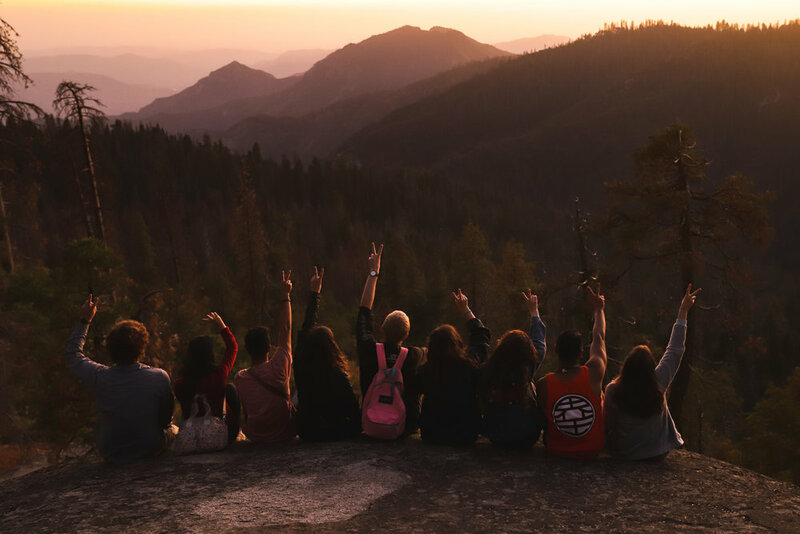 We went to Yosemite for a retreat, our marketing materials got better, and we became more than just a couple friends who hung out and took pictures. By the time my sophomore year rolled around, we had almost 200 people at our first GM, standing room only. It was a testament to everything we had built and the hard work we put in. Now, as President, I am still pushed to be better each day. I remember the anxiety I felt as we entered the school year to make sure nothing went wrong and our teams ran smoothly. I felt the weight of our 200 plus members, all wanting to go to every event. Those first weeks were tough, but we are better for it. In the past, we’ve tried to become more art-focused with our Photo Exhibition and Photographer Spotlights. This year, our goal is to build the same tight-knit community we had in the past, but with exponentially more members. We’ve had barbecues and tailgates, and I try to talk to many people whenever I can, and push the leadership to do the same. Not that it’s all been smooth sailing, of course. In the spirit of transparency, but with a heavy heart, I feel it my duty to inform you that I have accepted the resignations of Scott Valena and Christy Luong, two of our Board members. They have been exemplary Board members for many semesters, and their presence will be missed. It is work to be part of the leadership—fulfilling work, no doubt, but work nonetheless. Scott and Christy felt that they could not dedicate the time they felt was required of them to do their best work. I look forward to still seeing them at future events, and I appreciate their honesty to themselves and the club as a whole. There are still many great strides our teams made over the past few months. Our marketing team created a theme for this semester (polaroids, if you couldn’t tell), and is already prepping for the next one. Our events team went to Sequoia for the first time and pulled off successful bonding events. We’re launching head first into video as well, not only with beginning-of-semester hype videos, but retreat previews and recaps, and we plan to add even more in the coming semesters. Speaking of coming semesters, I am thrilled to return as President in the spring. I ran on a platform of more collaboration with other clubs and a name recognition on campus. I have begun planning something special, and I think all of you are going to love the result. The end of the year is a time for reflection and thanks, and Photo Club is always in my thoughts. The people, places, and experiences are ones that I will cherish for years to come. I hope that all of you do, too. Good luck on finals, safe travels, and happy holidays.